…The group I brought was eager, but most, including myself, were relatively inexperienced with wines grown in Colorado. 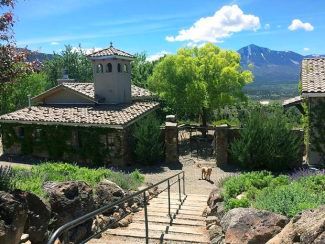 Excited to learn, we started at Azura Cellars, a beautiful winery and gallery overlooking Mount Lamborn and the quaint town of Paonia. 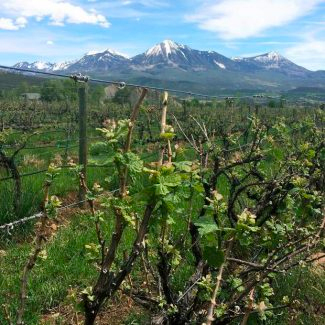 This place actually grows its grapes in Palisade and packages in Paonia. On their grounds, they have a nice pond and a gallery with reasonably priced art and jewelry. If we hadn’t had a full schedule, we probably could’ve sat out there all day soaking in the sun and sipping on the Merlot and Riesling. That’s probably true about every place we went actually. But I had made an itinerary, and we were going to try out damndest to stick to it!